The writer-director duo of David and Nathan Zellner follow up 2014’s impressive Kumiko, the Treasure Hunter with the often knee-slapping and consistently subversive revisionist Western, Damsel. 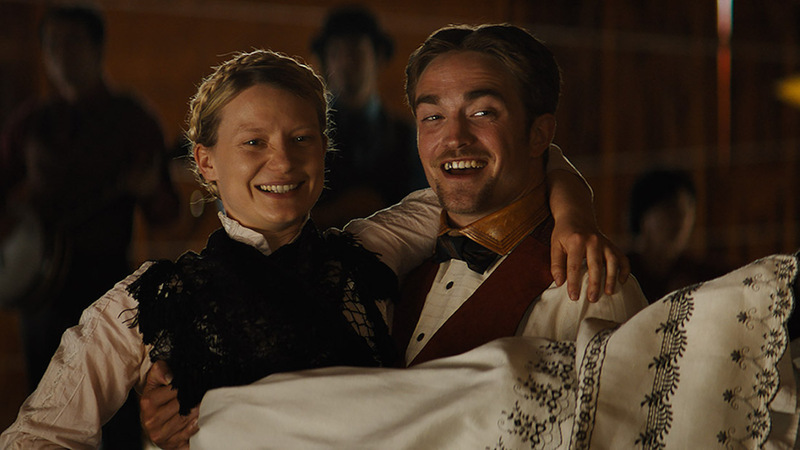 Samuel Alabaster (Robert Pattinson) appears, an articulate dandy of a fella, in unfamiliar territory he is accompanied by a miniature horse named Butterscotch, and shares his intent on rescuing his beloved Penelope (Mia Wasikowska) from the vile kidnappers who snatched her away. Or so Samuel frames it when talking to Parson Henry (David Zellner), a wayward man of the cloth hired on to officiate their wedding vows, if would-be gunslinger Samuel can indeed rescue his damsel, and if indeed Penelope is a prisoner at all. The Zellner brothers brilliantly blur the fine lines between hero, villain, damsel and deerstalker in this odd odyssey that occasionally echoes both Mel Brooks’s Blazing Saddles (1974) and John Maclean’s Slow West (which you’ve already seen on this very list), with just a splash of Nicholas Ray’s Johnny Guitar (1954) for good measure, in a film that effortlessly trots between uproarious comedy and unsettling tragedy with a slick straphanger’s gait. It’s not the kind of Western that will appeal to everyone due to its oddness, but it might just appeal to you. 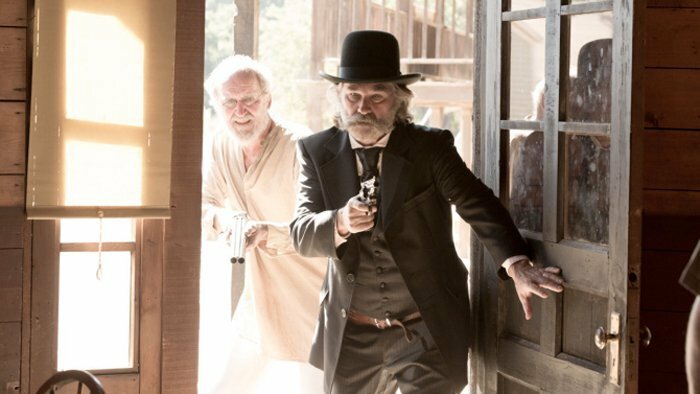 Bone Tomahawk marks the dazzling directorial debut of a new cinematic storyteller in writer/director S. Craig Zahler. A disturbing revisionist Western with a heart for horror and a mind for the strange, the 1890s frontier presented here at first feels like the familiar terrain of John Ford –– The Searchers springs to mind –– before running a nail-biting detour down a thoroughfare of shock-addled circumstance, jet black humor, and an ending you’ll be shaking off for days afterward. Kurt Russell is great as gunslinging sheriff Franklin Hunt, leading a doomed rabble out for revenge against a band of cannibalistic savages who’ve kidnapped members of their settlement, the ironically named Bright Hope. The risky business that ensues is never less than riveting, making for a skilled fusion of fright and Old West visage that will shock and richly reward the courageous seer. Make no mistake, Bone Tomahawk is a modern classic destined for cult status and midnight viewings for years to come, and it is not at all for the squeamish. You’ve been warned. This gloriously realized remake from the Coen Brothers, adapted from the 1968 Charles Portis’ novel of the same name (famously adapted in 1969 by Henry Hathaway and starring the legendary John Wayne), is a blood-splattered tale of revenge on the open range. When a fiery 14-year-old Mattie Ross (Hailee Steinfeld) seeks revenge for her father’s murder at the hands of outlaw Tom Chaney (Josh Brolin), she hires Marshal Reuben J. “Rooster” Cogburn (Jeff Bridges), a booze swillin’, pistol-whippin’ lawman, who’s best days are behind him, more or less. Soon they’re joined by Matt Damon’s Texas Ranger, LaBoeuf, who has hit eyes fixed on Chaney, too. Journeying through hostile lands, ready to mete out Old West Justice, True Grit makes some smart remarks on Manifest Destiny, wish-fulfillment violence, the American frontier, and then some, with the Coen’s signature splashes of dark humor, silver-tongued idiosyncratic dialogue, eruptions of violence, dashes of biblical and religious references, and some exquisite , mythic-like visuals courtesy of DP Roger Deakins (who’s startling cinematography garnered one of the film’s ten Academy Award nominations). 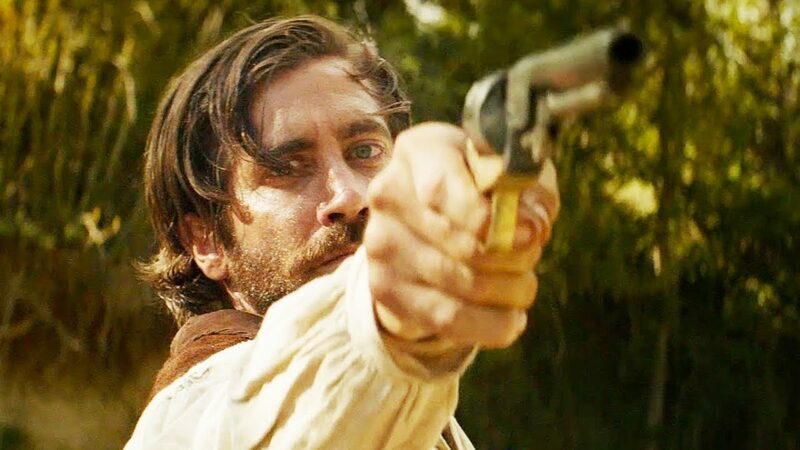 French filmmaker Jacques Audiard (A Prophet , Rust and Bone ) adeptly adapts Patrick deWitt’s beloved, prize-winning 2011 historical novel about a pair bickering siblings who earn a living as hitmen in the Wild West of the 1850’s. Buoyed by some of 2018’s (or any year’s) very best casting, The Sisters Brothers features John C. Reilly and Joaquin Phoenix, ideal as Eli and Charlie Sisters, hitmen hired by the Commodore (Rutger Hauer) to murder prospector Hermann Warm (Riz Ahmed) who may just be in cahoots with a crooked detective named John Morris (Jake Gyllenhaal). Audiard and cinematographer Benoît Debie (Enter the Void , Spring Breakers ) are a perfect pairing, not unlike Reilly with Phoenix, and such brotherly esprit de corps gives The Sisters Brothers a seeable splendour and a muscular poetry that muzzles the American West in ways we’ve not fully embraced since the genre’s heyday. Matter-of-course for Quentin Tarantino, Django Unchained is a miscellany of cinematic genres, dressed in blood-soaked Western regalia. Sure, it’s spaghetti Western, it’s also blaxploitation, action-comedy, and coolly calculated satire. Jamie Foxx is Django, an African-American ex-slave, who, with the assistance of German bounty hunter King Schultz (Christoph Waltz, in an Oscar-winning performance), set out to free Django’s bride, Hildi (Kerry Washington) from the plantation where she’s still a slave, owned by the villainous Calvin Candie (Leonardo DiCaprio). By creating a sardonic, at times burlesque narrative that plainly confronts the racist underpinnings of American history, the film offers catharsis, reexamination, and wish-fulfilment restitution. 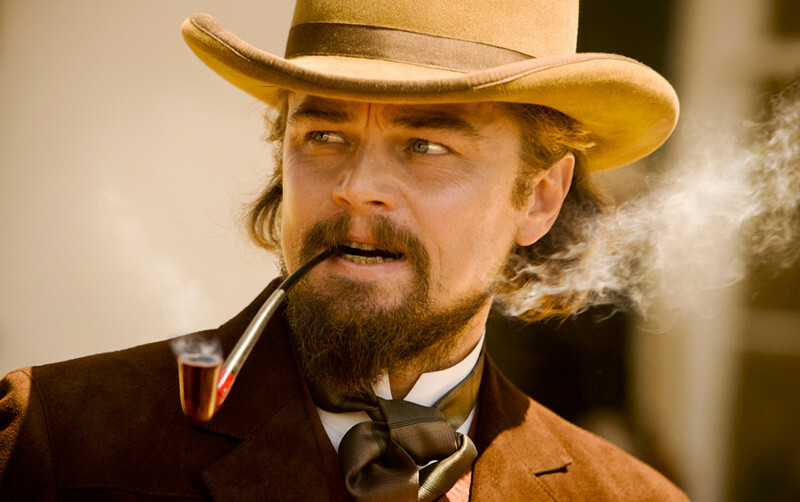 As stylish as anything in Tarantino’s oeuvre, Django Unchained is a showy, violent, and ferocious tour de force. Mexican director Alejandro González Iñárritu has always been a visually arresting filmmaker and with 2015’s The Revenant he’s crafted a compelling study of obsession and revenge on a monstrously mammoth scale. Using only natural light –– mostly during magic hour –– Iñárritu and his seemingly supernatural DP Emmanuel Lubezki capture the rhythms of nature, the sweeping vast stillness of the frontier, and the bleeding black heart of Manifest Destiny-crazed colonialists in 1800s North America. The Revenant erupts with violence and upset, as Hugh Glass (Leonardo DiCaprio) seeks revenge on the scruples-free trapper John Fitzgerald (Tom Hardy) who left him for dead after a vicious bear attack and the brutal slaying of his half-Pawnee son, Hawk (Forrest Goodluck). The Revenant gambols with languid long takes, quiet calm, and a naturalistic beauty that renders elegance and symmetry seemingly from the firmament. The clash of cultures between Native Americans and European settlers hasn’t seen this kind of sumptuous camerawork and compassion since Terrence Malick’s The New World (also lensed by Lubezki). Iñárritu should be considered cinema’s transcendental poet laureate of the wide-framed moving image; his devotion and veneration for the natural world is contained in every second of The Revenant, easily one of the most precious gems of modern movie making, its beauty and presence is boundless. Kelly Reichardt can hardly be called a genre director, she more ascribes to the auteur school of subtle, and striking, with an emphasis on intimacy and naturalism. This is the approach she takes on her unconventional look at life on the Oregon Trail in 1845, Meek’s Cutoff. Hollywood glitz is replaced by anxiety, decay, and cruelty, displayed with a deft artist’s touch. Starring Michelle Williams as Emily Tetherow, a matriarchal figure on a wagon train lost in the Oregon desert, who’s guide, Stephen Meek (Bruce Greenwood), is a racist, manipulative lowlife, who may be intentionally leading the small band of settlers to their deaths. Filmed as an homage to the classic Westerns in the 1:1.33 screen ratio—the standard of Hollywood’s Golden Era—Reichardt’s frames make prisoners of her characters, opposite to John Ford’s overpowering landscape approach. It’s a bold and risky strategy, which here works wondrously. As a feminist parable, Meek’s Cutoff is a seditious surprise, and as an intimate genre exercise, it’s an eloquent feat of strength from an inventive director at the top of her game. Andrew Dominik’s erratic, and some would argue overlooked, The Assassination of Jesse James by the Coward Robert Ford, is an intensely self-conscious and artful study of Old West legend. With the ingenious, magic-hour blush we’d expect from Terrence Malick, Dominik’s is a movie without clearly defined heroes or villains, but with uncertainty and symmetry in spades. 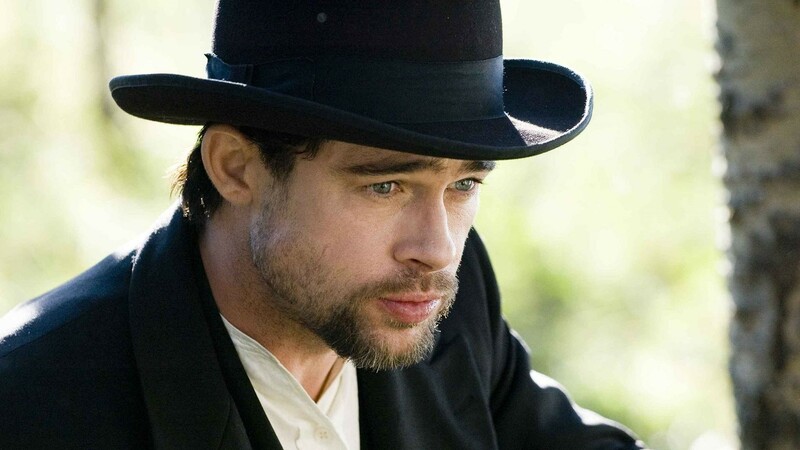 Brad Pitt’s Jesse James is a walking contradiction; cold killer, loving husband, attentive father, self-conscious legend. Jesse is stalked by Robert Ford (Casey Affleck), an excusably naïve, starstruck easy mark. As the spoiler containing title suggests, Robert will take the life of Jesse, his hero, a graven image of Western tradition. It’s a fascinating fool’s paradise of a film. Lifted by Roger Deakins’ lens –– together he and Dominik reimagine many Western tableaus with elegant and often chilling results –– and buoyed by Nick Cave’s aching and augural score (Cave also makes a quick cameo), it’s a riveting, musing, and formal period piece with a modern caveat on celebrity culture.